Venezuela’s President Nicolas Maduro said he was prepared to hold negotiations with the U.S.-backed opposition and added he would support early parliamentary elections, Russian news agency RIA Novosti reported on Wednesday. “I am ready to sit down at the negotiating table with the opposition so that we could talk for the good of Venezuela,” Maduro told RIA in an interview in Caracas. Maduro also said Russian President Vladimir Putin had promised him more economic and military support during phone talks last week. “There is cooperation every month. This is normal, nothing extraordinary about this,” he added. Venezuela is a rare Moscow ally in Latin America. The two countries have a long history of ties and Maduro’s predecessor Hugo Chavez, known for his tirades against the United States, was a welcome guest at the Kremlin. The United States, a dozen Latin American countries and Canada have recognized Guaido as interim president, while China and Russia — Venezuela’s two main creditors — have urged non-interference. 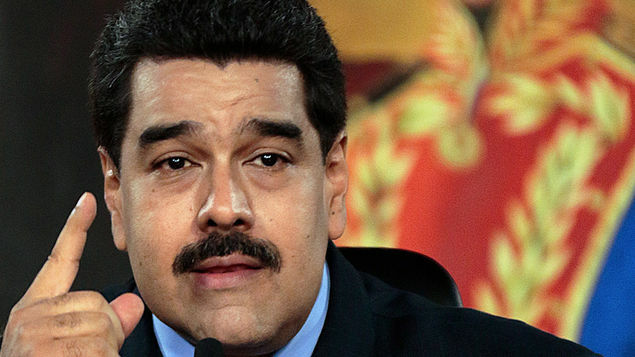 In the interview with RIA Novosti, Maduro said he would support early parliamentary elections. “It would be very good to conduct parliamentary elections at an earlier stage, it would be a good form of political discussion,” Maduro said. At the same time, he dismissed the possibility of holding a new presidential poll any time soon. “Presidential elections in Venezuela have taken place, and if imperialists want new elections let them wait until 2025,” he said in an apparent reference to Washington. Maduro has been in charge since 2013 but his re-election in May was branded illegitimate by the European Union, the United States and the Organization of American States. The embattled leader also implied he was firmly in charge of the army whose support is crucial. Maduro also claimed that U.S. President Donald Trump had ordered the government of Colombia to assassinate him. “If something happens to me one day then Donald Trump and Colombian President Ivan Duque will be responsible for everything that is happening to me,” he said, adding however that he was in good hands. “At the same time, I am protected. We have a good system of defense in place and moreover, we have more significant protection — this is protection from God who will give me a long life,” Maduro added. He declined to comment on some media reports that Russian private contractors had allegedly arrived in Venezuela to protect him. Russia has denounced the opposition’s “usurpation of power”, calling Maduro the crisis-hit country’s legitimate leader. Venezuela owes China and Russia billions of dollars and Maduro vowed to honor the debt. He also expressed hope that the two countries would continue to support Venezuela economically and invited US companies to invest in energy and other sectors. Venezuela has been in turmoil before, but the events of recent weeks have been unprecedented. Ultimately it will be the armed forces that either deal the crushing blow to President Maduro or who continue to provide him with life-sustaining support, according to David Pion-Berlin, Professor of Political Science at the University of California, Riverside. Is Venezuelan President Maduro’s Fate in the Hands of the Armed Forces? Will Trump's Border Wall Keep Mexican Migrants Out or Lock Them In?